There are plenty of AR apps but few people have heard of them. An Apple veteran has been tasked with changing that. Apple’s augmented reality efforts have a new spokesperson. Frank Casanova has been named head of marketing for Apple’s AR offerings. 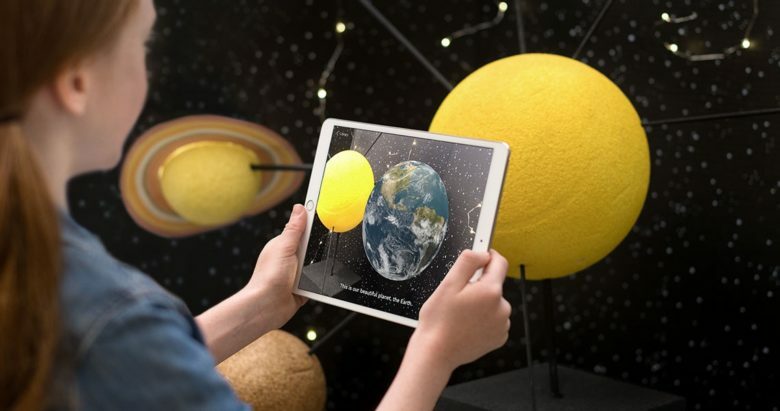 Apple has been hard at work in this area for years, but its developer tools and the resulting AR apps haven’t attracted significant attention. Perhaps that’s why there’s a new senior director in charge of promoting them. AR overlays computer-generated images or text onto the real world. It’s different from virtual reality, which completely replaces the real world. “I’m responsible for all aspects of Product Marketing for Apple’s Augmented Reality initiative,” reads an update on Casanova’s LinkedIn profile. His title is Senior Director, Worldwide Product Marketing. The change took effect this month, and he’s the first person to hold this position. Casanova first came to work at Apple in 1988. Aside from a 1-year break in the 1990s, he’s been with the Mac-maker ever since. Previously, he worked with marketing iPhones through wireless carriers. ARKit is Apple’s tool to enable development of augmented reality software. ARKit 1.0 came out in 2017, and this was followed by version 2.0 last year. The latest upgrade brought shared experiences, a fancy way of saying that two people playing the same AR game can look at the same virtual objects. There were hopes that ARKit 2.0 would quickly lead to numerous AR games, but so far the only one that attracted any attention is from Lego. That could be the reason Casanova was given his new mission. His job will become especially important if Apple releases the AR glasses it’s supposedly developing in a top-secret project.